The Holiday House "Agareni" is located in Sicily, immersed in the Menfi countryside, in the westernmost part of the province of Agrigento. It has two bedrooms (one double with possibility to add a single bed, and a double), a bathroom, a living room and a kitchen with all the comforts, while outside there is a large veranda and a lawn where to be able to cook at the barbecue. The holiday home "Agareni" is the ideal place for a relaxing holiday and to live a unique experience enjoying the fruits of the countryside and assisting (on request) to prepare bread baked in a wood oven, as well as to prepare preserves and typical local dishes. In addition, you can take relaxing walks on foot or with bicycles made available by the owners. 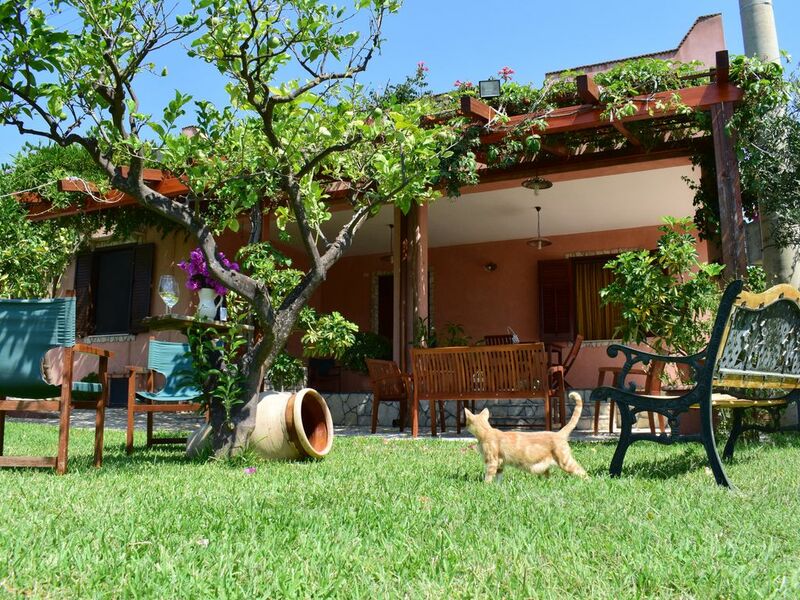 The house is about 7 km from the beautiful pristine beaches of Porto Palo, famous for having received for over twenty years the Blue Flag of the FEE and the Green Flag of the Italian National Pediatricians Association. Moreover, the archaeological site of Selinunte, the tourist town of Sciacca, Eraclea Minoa, the Scala dei Turchi of Realmonte, the Valley of the Temples of Agrigento, the Temple of Segesta, the Saline di Trapani, the Zingaro Reserve and Monreale are easily reachable. . Guests will be welcomed with a welcome drink and at the end of the stay they will receive in memory a bottle of extra-virgin olive oil produced in the same campaign.